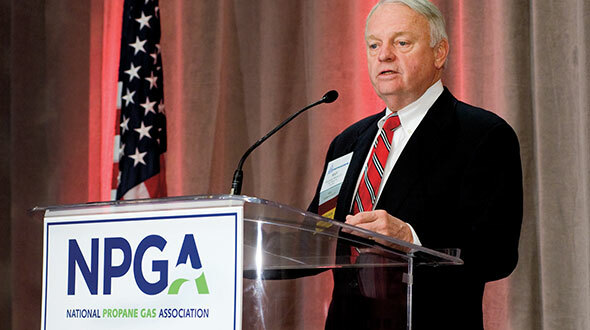 They say hope springs eternal, but that certainly isn’t the message from propane retailers who responded to our fifth annual State of the Industry Report. This year, the most common concern was the price of propane – the fear that the level and instability of prices will drive customers to other energy sources. Judging from retailers’ comments and from “reading between the lines” of the survey, there is a growing resignation that there’s “no end in sight,” as every year there seems to be a new challenge or problem. Those who expect to be acquired nearly doubled – from 6.9 percent last year to 12.6 percent this year. Of those selling under 1 million gallons a year, 21 percent either expect to, or hope to, be acquired. Surveys were sent to 2,000 retailers; 338 responded. This year we used 255 responses: 150 from owner-operators, 71 from co-ops, and 33 from investor-owned operations. If we have any question about the honesty or accuracy of data from a respondent, we don’t include it in the data collection. Since we are getting a 17 percent or more response rate, we can afford to exclude any we don’t think will help us attain the most accurate data, conduct a knowledgeable analysis, and make savvy deductions and conclusions. 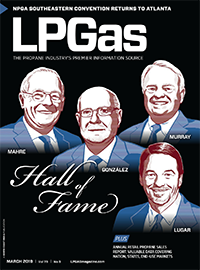 One of Yogi Berra’s most famous Yogi-isms is, “It’s déja vu all over again.” That’s close to summing up what we saw in LP Gas Magazine’s 2004 survey of propane retailers. 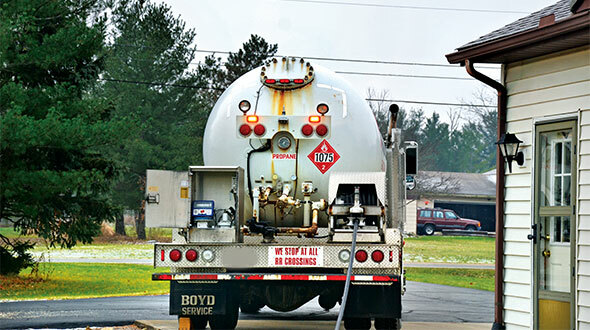 Within the statistical margin of error — a phrase you heard much too often during this election year — we could use last year’s survey results to reasonably describe this year’s propane retailing landscape. HOWEVER . . . while survey respondents again commented about the continuing challenges of regulatory demands, mushrooming employee benefits costs and soaring business insurance premiums, the rising and unstable cost of gas was causing them the greatest problem in keeping customers and staying profitable. The other most significant issue reported is the business insurance situation. Shown are the comparative results of our 2003 and 2004 surveys. While the 2004 results are not as extreme as 2003, they do tell us that over 90 percent of retailers paid more for insurance in 2003 – three-quarters of retailers paying even more in 2004. The employee benefits cost issue is certainly of concern to retailers, but the business insurance situation generates outright fear and anger. 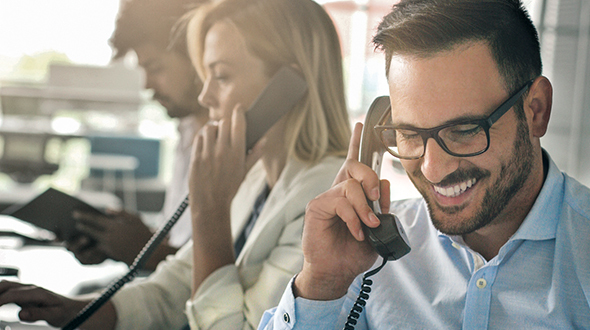 One respondent reported his business insurance costs have been going up 50 percent per year for the last three years. A number of comments on this subject used the word “crisis.” A few retailers even contend that this one issue will cause the demise of the small, independent retailer industry-wide. There really are two parts to this contention. The first is the actual cost of insurance – and that is not limited to smaller retailers. While a higher-than-average 81.4 percent of retailers selling less than 500,000 gallons reported higher insurance costs, 85.4 percent of retailers selling between 2 and 4 million gallons reported higher costs. The second part is the question of how large a retailer needs to be in order to be able to minimize the costs through negotiation or self-insurance and/or absorb the costs. Another category of challenges that continues to impact retailers is that of regulation. Without being specific about costs, many retailers commented on the continual barrage of regulations from federal, state and local governments, as well as requirements of insurance carriers. Complying takes time, energy and money – further decaying a retailer’s bottom line. In our 2003 survey, 23 percent of respondents reported that they were going to add propane storage during 2004. Some 16.7 percent and 17.9 percent intended to add bobtails and service vehicles, respectively. However, according to our 2004 survey results, those predictions didn’t materialize. In fact, within that pesky statistical margin of error, the average number of vehicles per retailer stayed about the same or even decreased. Average total propane storage for all respondents was 111,285 gallons in 2003, then 106,122 in 2004 – a 4.6 percent reduction. In 2003, the average retailer responding operated 4 bobtails and 2.7 service vehicles. For 2004, those averages were 3.9 and 2.6. Not surprisingly, the average capacity for all bobtails reported is consistently 3,000 or more gallons. While the stagnation or reduction in storage might seem significant, it is quite possible the disparity between predicted and actual change in the vehicle numbers is the difference between an expected increase in the size of the fleet versus just adding replacement vehicles. Retailers reported a modest 3.9 percent increase in their workforces this year. Given the unrelenting increase in the cost of providing employee benefits, it is understandable there would be a focus on not adding employees. The number of retailers who have been able to use computers to reduce staff or to minimize the need for additional staff seems to have leveled at 31 percent – almost identical to 2003 survey results. According to respondents, the retail propane customer base grew marginally during this last year by an average of 3.2 percent. The following chart illustrates the consistency of that growth across all sizes of propane retailers. Gallons of additional customer storage — just from those who responded to our survey. We also found an interesting, if not unexpected, relationship between the percent of those customers who owned their own tanks and the percent subscribing to automatic fill-up. In fact, there is a strong negative correlation between tank ownership and “keep full.” We can thus surmise that retailers with a higher percentage of leasing customers enjoy greater contractual certainty. Typical retail propane customers do seem to be a loyal lot who appreciate good service. Across the board, retailers say they are competing with 7.6 other propane retailers. That would suggest that each retailer could proportionally claim approximately 13.2 percent of the customers in their territory as “theirs.” However, on average, the respondents tell us that 33 percent of their customers buy exclusively from them. That may bear out how retailers rate their competitive advantages with their customers. We have found that – consistently from year to year – retailers, regardless of size, rate their most intense competition coming from local retailers, followed by regional and multi-state retailers. There also is growing concern among retailers regarding the potential inroads from alternative energy sources. Over half – 53.5 percent – say they lost an average of 3.9 percent of their customers to energy conversions. And this is getting their attention! When asked how concerned they were, the percentage of those who answered “somewhat” or “significantly” grew substantially in the last three years. Along another competitive avenue, there is a continued grumbling from some retailers about what is considered the “unfair competitive advantages” enjoyed by rural electric cooperatives that have ventured into the propane retailing arena – building on their favorable tax status left over from the days of incentives to extend electric service into the more sparsely-populated rural areas. The composition of the propane-related equipment and service parts of the retailing business has remained relatively stable. The one item that seems to catch our attention every year is the almost non-existent level of vehicle conversion services offered. We understand the discussion of propane-powered vehicles can be contentious, but it also speaks to the lack of attention given by those outside the direct propane industry, who could both support and drive demand for this use of our product. One of the best characteristics of the industry for promotion is the number of years many retailers have been in business. That “bedrock of the community” status is important. But many other means of “getting the word out” are used, and their use remains relatively constant from year to year. One noticeable difference from 2003 is the increase in the use of Web sites for promotion. Less than a quarter of retailers reported Web sites in 2003, while 2004 includes more than a third of respondents. This year, we also asked about the use of industry-offered promotional materials. Of those retailers who reported radio advertising, 35.8 percent used industry-supplied spots. Understandably, 77.8 percent of those who advertised on television included industry productions. 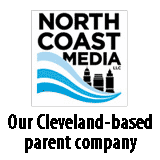 41.3 percent of print advertising used industry-supplied materials. One objective of our annual State of the Industry report is to give retailers a means to compare their operations with those of other retailers. However, that comparison is only truly valuable when measured against other retailers who share similar characteristics. In last year’s report, we divided retailers into six categories, based on their expected total gallons of propane sales for the year. Indeed, we found many similarities within these categories, and many differences between categories. This year, we looked at the operations of retailers by the additional variable of “type of business” – owner-operated, investor-owned and member-owned co-op. Of the surveys returned, 59.2 percent were from owner-operated businesses, 27.8 percent were from member-owned cooperatives, and 13.0 percent were from investor-owned businesses. We did find differences among the three types of business, depending on what characteristic we observed. While there’s no doubt that the owner/operator is also an investor, the difference here, by definition, is management. Generally, the owner/operator is the company’s management, while the management of an investor-owned retailer is an employee. That, then, groups the investor-owned retailer with the member-owned co-op in terms of the role, tenure and compensation of its employees. There also is the significant difference in the level of employee benefits offered by owner-operated retailers than the other types. While it is true that the level of employee benefits increased relatively for larger owner-operated retailers, higher levels of employee benefits were consistent across any size of investor-owned and coop retailers, i.e. even the smallest of these business types offered high-level employee benefit programs. More fundamentally, it is interesting to note that each of these types of propane retailers appears to have a slightly different focus and serves the propane market in somewhat different ways. The following table summarizes the customer categories to which these retailers sell into three major uses – residential, agricultural and “other,” which includes commercial, industrial, motor fuel and wholesale to retail outlets. Non-propane sales. Each year we ask if retailers are involved in marketing non-propane goods and/or services. For the first time, this year we encountered a propane retailer who also sells Internet access. Propane services. There also are measurable differences among the three retailer types regarding the number who provide propane “services.” It would appear that few retailers, whether owner/operator, investor-owned or co-op, consider vehicle conversions to be a viable sales opportunity. Regarding propane-powered vehicles, it is interesting to note who among retailers are putting propane to work themselves. While virtually half of investor-owned operations use propane and owner-operators are not far behind, few co-ops do. Pricing and margins. Probably the biggest difference in types of propane retailing is in the legal structure and purpose of the member-owned cooperative versus the owner/operator or investor-owned business. And this is strikingly evident in the average pricing and resulting margins. 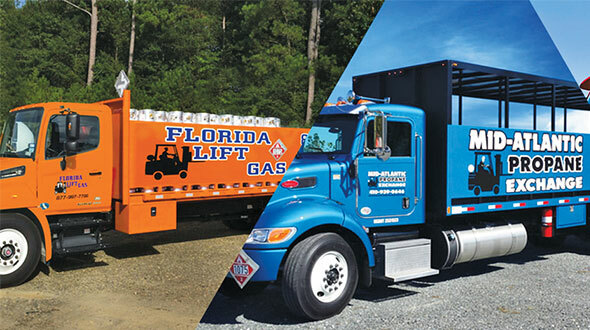 What has become evident by examining the three types of propane retailing businesses is that there are two different business models at work. One, essentially the same, for the owner-operated and investor-owned retailers. The other underlying the member-owned cooperatives. In our 2003 report, we introduced the Productivity Index (PI). It is a method of rating six different variables in the propane retailing operation from 0.0 to 1.0 across defined members of a category. Last year, we rated these variables across six retailer size categories. The index offered a methodology that allowed the combination of variable indices to arrive at an overall index per category. We were somewhat surprised last year when the PI results got better and better until reaching the category of retailers who sold 4-5,999 million gallons per year, and then fell for those who sold over 6 million gallons. We theorized several reasons for this result, including the possible need for a proportionately greater number of service staff in larger organizations. This year, we calculated the PI for all respondents again, rated by the six size categories – and achieved almost identical results. The PI increased for the first five size categories and then fell for the last. Two results, in particular, stand out. First, the two general patterns that emerge fortify the idea that there are, in fact, two different business models among propane retailers. For both investor-owned and owner-operated retailers, size matters throughout the spectrum. This seems to demonstrate the very intuitive idea that as the retail operations grow larger, economies of scale continue to allow retailers to sell more gallons without a proportional increase in asset and labor costs. Second, the member-owned cooperative PI describes a very different pattern. For retailers selling between 2 and 6 million gallons annually, the PI explodes – in some cases doubling the efficiency of the other two types of retailers. Then it falls for those largest co-op retailers (at such a rate as to skew a combined sample population and cause the overall PI to assume the shape we reported last year). Our survey doesn’t give us the detail to accurately analyze the reasons behind these observations, but there are several possibilities. Answering questions about just one segment of a highly-integrated operation – which many co-ops are – is often difficult. Consequently, if propane sales of many co-op respondents is only one segment of their larger farm services operation, the data may not be as specific nor as representative as from operators who are solely propane retailers. On the other hand, the PI for “gallons sold per customer” is vastly higher for member-owned co-ops than for either owner-operated or investor-owned retailers, suggesting that the different composition of the co-op’s customer base may give the co-ops a fundamental structural efficiency advantage. There are two parts to constructing this annual survey. The second part is analyzing the statistics, looking for trends and characteristics in the industry that can benefit retailers. That’s based on the first part, an interesting combination of data entry and revelation. Those of us who actually analyze the data are also the ones who enter the data, and in that process we begin to get a subjective appreciation for the trends, attitudes and opinions behind the numbers. In the post-9/11 year of 2002, the most pressing issue was the rapid proliferation of new regulations and the associated requirements on propane retailers. That issue didn’t go away. It’s still with us — but it’s not new any longer. In 2003, the issue of mushrooming insurance rates reared its ugly head. Harder to find and much more expensive – it was another challenge to pile on top of 2002’s regulatory demands. This year, the concern about which we heard the most was the price of propane – the fear that the level and instability of prices would drive customers to alternate energy sources. It’s not a new issue, but it certainly took on a new level of priority this year. These attitudes can be seen in retailers’ predictions for the future. The percent of respondents who believe they will have more customers next year is 56.6 percent – down from 64.2 percent last year. Those who see profits increasing are now 31.8 percent – down from 37.4 percent. Last year, those retailers selling between 1 and 2 million gallons a year were a particularly optimistic group. A whopping 93.8 percent of them expected to have the same or more customers, and 84.8 percent predicted the same or higher level of profits in 2004. This year, 90.2 percent still expect the same or more customers. But only 70.3 percent see the same or higher profits: Evidence of squeezing the bottom line. What’s the result? Some 74.7 percent of respondents expect retail ownership to stay the same. But those who expect to be acquired nearly doubled – from 6.9 percent last year to 12.6 percent this year! As was the case last year, acquiring competitors is more prevalent among larger retailers, and selling out to competitors is more common among smaller retailers. Of those retailers selling under 1 million gallons a year (who are not member-owned co-ops), 21.0 percent either expect to, or hope to, be acquired.